Find Dental Insurance and Dental Service Providers in your Area. Oral care and dental insurance can be complicated. We help make sense of it. 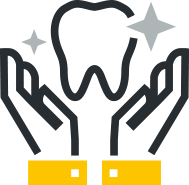 DentalCareGenie.com combines powerful search tools, expert tips and reliable consumer information to help those looking for dental insurance, dental services or oral care education. 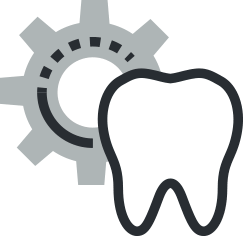 Use our search feature to locate providers of dental procedures like routine cleanings, fillings, denture fittings and more. We have useful resources for finding the right dental insurance coverage, too. 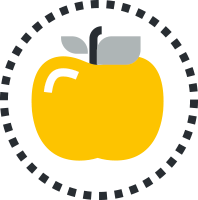 Or, if you’re simply interested in learning more about oral health, we have educational resources and downloads to assist you. Not sure where to begin? "How do I choose the right dental insurance?" It can be difficult to navigate the complex world of insurance. There are hundreds of different providers, brokers, pricing packages and plan features to choose from, so how do you know where to start? DentalCareGenie.com is a resource for those seeking to learn about dental insurance and how best to make it work for them. 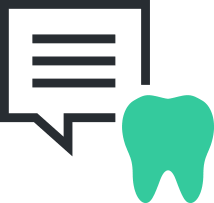 Head over to our Dental Insurance FAQ to get answers to the most common dental insurance questions. "I want to know more about a specific dental procedure. Can you help?" Learning about dental procedures for setting implants, bridges, surgical bite correction or other dental procedure doesn’t have to be confusing and complicated. Making better oral care choices starts with education, which is why DentalCareGenie.com is such a valuable resource. Rely on us for accurate, up-to-date information on a variety of oral care subjects, from routine cleanings to full arch implant dentistry. DentalCareGenie.com is passionate about arming conusmers with information and search tools that lead to better decisions for everyone in need of dental services or dental insurance coverage. Curious about a specific dental subject? Visit our Glossary page for quick reference definitions of the most common terms. Want more information on dentists and oral surgeons in your area? We can help with that, too. Simply use our Quick Search for instant results tailored to your specific location. One of the most common reasons people cite for not getting the dental care they need is not knowing where to find the right provider. The same can be said for finding dental insurance coverage. 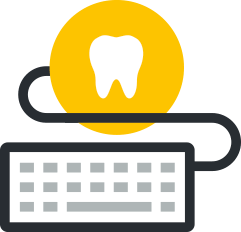 To help you find the ideal match for your specific needs, we’ve combined the most powerful search tools for both dental services and insurance. Find a professional, reputable dental office that is accepting new patients in your area. Regularly scheduled oral cleanings and screenings are crucial to long-term dental and overall health. Extractions. Implants. Corrective surgery. Everyone’s mouth is different, and no two patients have the exact same dental care needs. Whatever the procedure, we can help find a provider. Get the coverage you need without paying more than you have to. Leave the heavy lifting to us, and use our powerful search tools to hone in on the best insurance provider for you, quickly and reliably. 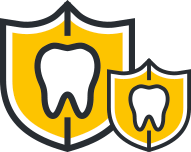 Compare the top dental service and dental insurance providers, all at your fingertips. We make the selection process easy by presenting you with only the most relevant dental service and insurance coverage providers that operate in your geographic area. This removes the hassle and wasted time you might otherwise spend trying to conduct your own search - at DentalCareGenie.com, the selection is vast, and the educational resources help to ensure that you’re making the best possible decision for your dental well-being. Need to find a dentist, quick? Use our Quick Search by entering your zip code to the left. You'll see all of the top providers in your area. Good dental care and dental hygiene is an essential aspect of our overall health and well being. The mouth serves as a corridor to the rest of the body and can provide important early indicators of a variety of general health disorders that may otherwise go undetected if not discovered by a dentist or dental hygienist. Recent scientific studies have linked serious health conditions such as heart disease and diabetes to poor dental health, as well as an increased risk for certain cancers in some individuals. Because of the direct correlation between oral health and overall health and wellness, a greater emphasis is being placed on the importance of affordable dental insurance and access to quality dental care. Although dental coverage isn’t a required benefit of the Affordable Care Act, it is an important aspect of your total health outlook. With regular preventative dental care you can expect to keep your teeth and beautiful smile as you age and avoid expensive dental procedures in the future. The U.S. Department of Health and Human Services highly recommends preventative dental care because of the strong evidence supporting its effectiveness in reducing the need for future expensive treatments. Dental insurance differs from medical insurance in the way maximum out-of-pocket is defined. With dental insurance, coverage for treatment ends when your maximum out of pocket is reached. Most dental plans will pay 100 percent of the cost of routine preventive and diagnostic care such as checkups and cleanings. If more extensive treatment is needed most plans cover 80 percent for fillings, root canals and other basic procedures; and 50 percent for crowns, bridges and other major procedures. Dental insurance plans may limit benefits by the number of procedures and/or dollar amount in a given year. However, if you receive preventative dental care on a regular basis the policy limits will usually be sufficient. What Will Dental Insurance Cost Me? The cost for dental insurance plans will vary by state, but in most cases you can purchase plans bundled with a health care plan that includes dental coverage, or you can choose to purchase a stand-alone dental plan. 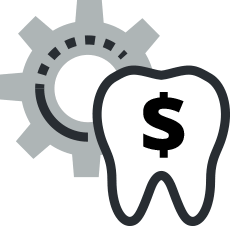 You can compare dental plans in the health insurance marketplace where you’ll find details about each plan’s costs, copayments, deductibles, and services covered. If you are purchasing insurance for someone 18 or younger, dental coverage must be available for your child either as part of a health plan or as a stand-alone plan. Although dental coverage is considered an essential benefit for children you are not required to purchase it. If you choose a dental plan that is bundled with health insurance you will usually pay one monthly premium for both.If you choose a stand-alone dental plan you will pay a separate, additional premium for the plan. Navigating through the various dental plans in the health insurance marketplace can be overwhelming, but with a better understanding of what dental insurance covers, how to integrate it into your total health care plan, and how much you can expect to pay, you’ll be able to make the best decision for you and your family. How do I choose the best Dental Insurance Provider?